Yesterday we wrapped up the best apps to launch in March. Today we are turning our attention to the games. Gaming on Android has been getting better and better over the last couple years. 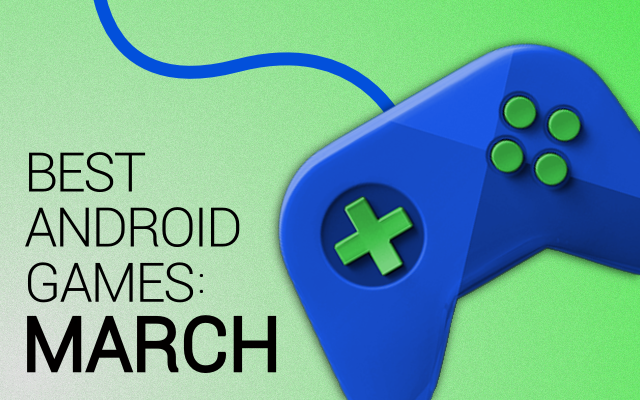 Every month we see games from big companies and indie developers launch in the Google Play Store. There are so many games being launched that it can be hard to keep track of them all. We’ve got you covered. Here are our picks for the best games to launch last month. 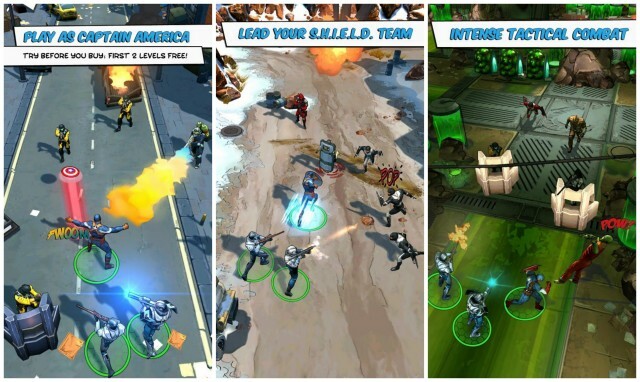 Captain America: The Winter soldier is headed to theaters later this week, but the game is already here. This Gameloft game lets you play as Cap in an action packed adventure. It plays like an MMO where you tap on enemies and order Cap to attack. S.H.I.E.L.D. is also along for the ride with Strike teams that can be called. With great graphics and awesome super-hero fun you can’t go wrong with this game. Cut the Rope has been around for, but in March the long-awaited sequel finally launched. So what’s new? 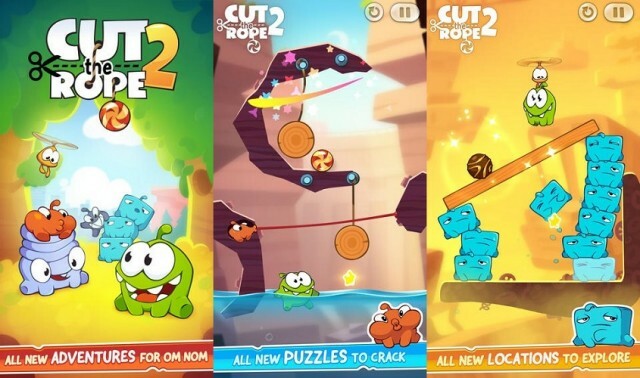 Cut the Rope 2 has all new locations, 5 new characters to meet, hats to customize Om Nom, new adventures, and new missions. It’s packed full of new things to discover. If you loved the original you will surely have a blast with Cut the Rope 2. The Chromecast may not have been built for games, but thanks to some crafty Android developers it can be. 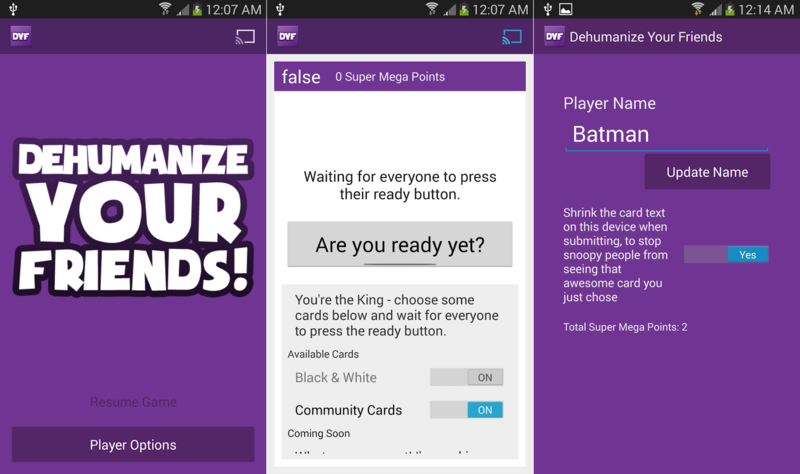 Dehumanize Your Friends is like Cards Against Humanity for your phone and TV.. Players use their phone or tablet to choose a card, and then everyone’s choices are displayed on the TV. Modern technology meets card games in a beautiful way. Flop Fu is the strange love child between old-school 2D fighter games and the insane QWOP. 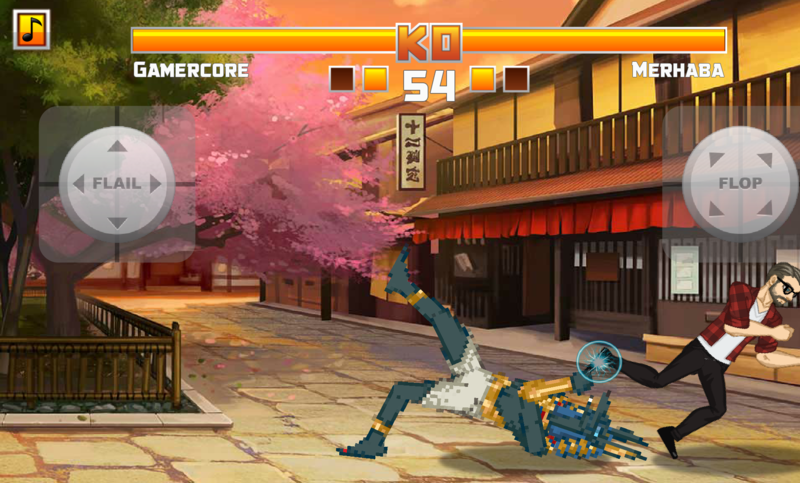 This fighting game is unlike anything you have ever played. You have two controls: arms/legs and jumping. To win the match you need to flail and flop all over your opponent. It sounds weird, and it is, but you seriously need to play this game. 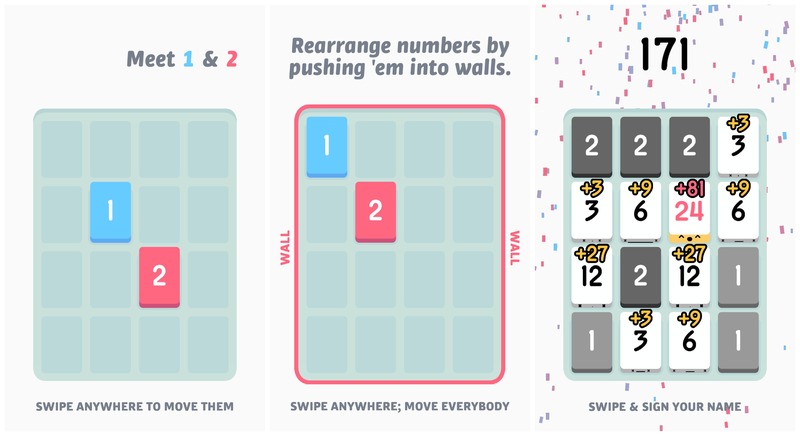 This great puzzle game comes from the minds at Cartoon Network. Alien globs are brainwashing your friends. It’s your job to save your friends, and the world, with your trusty gadgets. 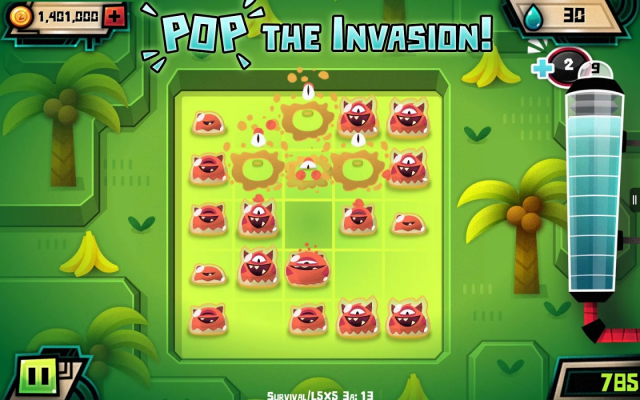 The Goblin-infested brains need to be cleared from puzzle boards by making them explode and pop. With power-ups and gadgets you can improve your chances. Don’t be afraid! Originally released on PC back in 1994, Little Big Adventure is finally available on Android. 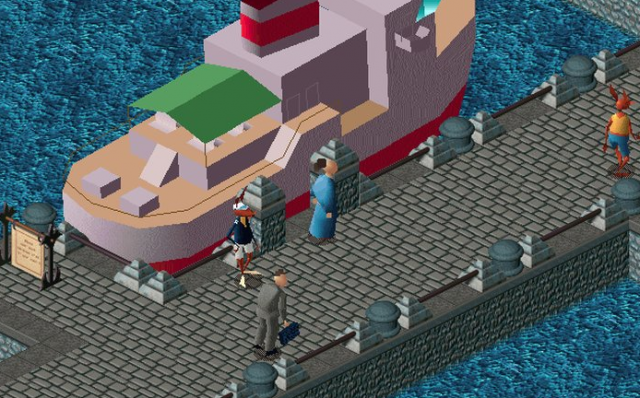 You play as Twinsen, a young hero living on Citadel Island on a world under the heel of the dictator Dr. FunFrock. Dr. FunFrock locks you away in an insane asylum. As Twinsen, you’ll need to escape from your cell and discover your incredible destiny as a descendant of a long line of magicians in charge of protecting your planet’s secret. If you are a trivia buff this is will quickly become your favorite game. 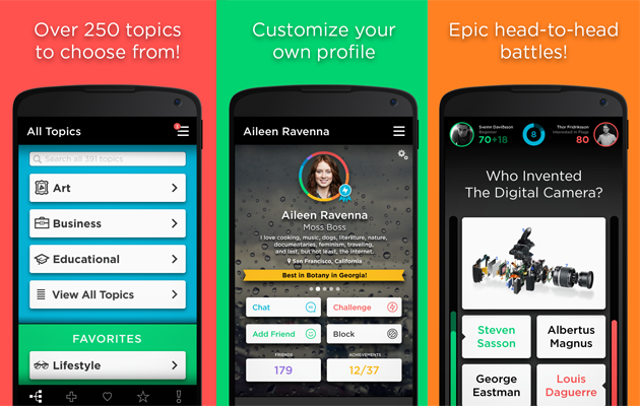 Quiz Up is the world’s largest online trivia game. There are over 200,000 questions across 400 topics to challenge you. If you’re good enough you can even get ranked on the leaderboards among the 10 million other players. The best kind of fun is when you learn something, which makes Quiz Up great. This is a game that the Hulk would love. The goal? Simply smash as many things as you can. The graphics are beautiful, the scenery is futuristic and gorgeous, and the music is hypnotic and great. It’s your job to destroy all of that with marbles that you ca fling at anything you see. If destruction is your name, Smash Hit is your game. 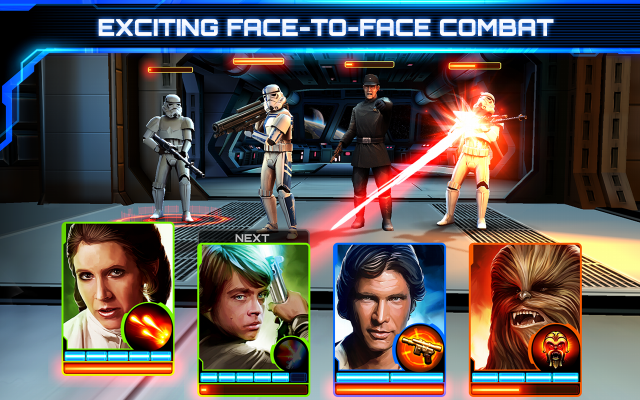 Star Wars: Assault Team is a turn-based combat game. Players get to build and customize a team from popular Star Wars characters. After that you can embark on a mission to infiltrate enemy lines, find Wookie resistance, survive ambushes and much more. Improve your character’s skills by training them and deploying special attacks. Any Star Wars fan will love this game. This game is all about matching numbers. The goal is to match like number (2+2, 4+4, 8+8, etc.) to create the biggest number you can. You move the entire board by swipe up, left, right, and down. When two matching numbers touch they combine into one block. The goal is to create a block that equals 2048. Threes! is one of the more addictive games you will find. There are many more great games that launched last month, but these are our favorites. What games did you love from March? Let us know below!